NEW YORK, Dec. 5, 2017 /PRNewswire/ -- SiriusXM announced today that Breitbart News Network will make a major expansion in its radio programming on SiriusXM, launching a new daily weeknight show and additional weekend shows, all airing exclusively on SiriusXM Patriot channel 125. 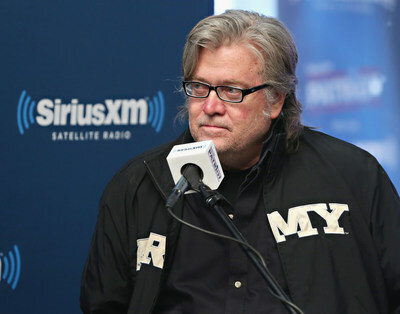 In addition, SiriusXM announced that former White House Chief Strategist and Breitbart News Network Executive Chairman Steve Bannon will return as a regular host along with Editor-in-Chief Alex Marlow on the conservative Patriot channel beginning today, December 5th. Bannon's commitment to the SiriusXM radio platform ensures that the conservative populist icon will have a significant presence across Breitbart's morning and evening drive time programming, as well as on weekends. Bannon will also be the leader of Breitbart's mid-term election coverage on the Patriot channel, as well as the 2020 presidential campaign. He previously hosted SiriusXM's Breitbart News Daily, which premiered in late 2015 and became a must-stop destination for candidates seeking the 2016 GOP nomination. "As I have said all along, everything I brought to the Trump campaign came directly from the listeners I spoke with every morning on Breitbart News Daily on SiriusXM's Patriot channel," Bannon said. "From the moment I left the White House, getting back behind the microphone was very important to me. To get on the road outside the Beltway and to spend time with the great men and women of America is an honor." "During the 2016 campaign, Steve empowered SiriusXM Patriot listeners to have a voice and be part of the electoral process," said Dave Gorab, Vice President and General Manager, Talk Programming. "The result was a lasting bond between Steve and his audience, who have eagerly anticipated and awaited his return to radio." Breitbart.com has a staunchly loyal following with the site reporting rocketing growth this year alone with over 2.2 billion page views. 2017 is already the highest web traffic year for Breitbart.com, surpassing 2016. These readers are the cornerstone of the radio audience. As Breitbart CEO Larry Solov stated, "Breitbart is not just a trusted delivery system for real news and breaking news. It is an idea. There is no better way to get that idea out further and wider than to expand our relationship with the world's largest radio company, SiriusXM." This week SiriusXM also launched Breitbart News Tonight, a political news and talk show that broadcasts live from 9:00 p.m. - 12:00 a.m. ET / 6:00 – 9:00 p.m. PT. Joel Pollak, Breitbart's Senior Editor-at-Large and in-house Counsel, and Rebecca Mansour, Senior West Coast Editor, will host the new program from Breitbart's headquarters in Los Angeles. In the era of 24-hour news cycles, Pollak and Mansour will provide listeners a preview of the headlines that will drive the next day's news and offer expert analysis of the biggest breaking political news. The three-hour program will also feature interviews with major newsmakers and influential leaders from both coasts, as well as the Heartland. In early 2018, additional live programming will join the weekend lineup to complement Breitbart News Saturday and Breitbart News Sunday – both already heard on SiriusXM's Patriot channel. The new shows will be developed around political thought leaders Dr. Sebastian Gorka, a former Deputy Assistant to President Donald J. Trump; Breitbart Contributor Sonnie Johnson; Breitbart Washington Editor Matt Boyle; Breitbart National Security Editor Frances Martel; and Breitbart Texas Editor Brandon Darby. SiriusXM's 200+ channels – including SiriusXM's Patriot channel – are also available for streaming to SiriusXM subscribers nationwide with Amazon Alexa. Go to www.SiriusXM.com/AmazonAlexa to learn more.